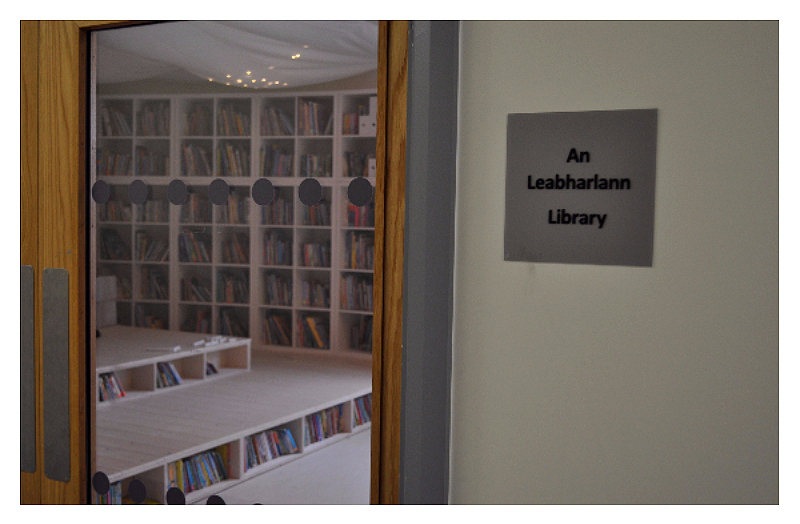 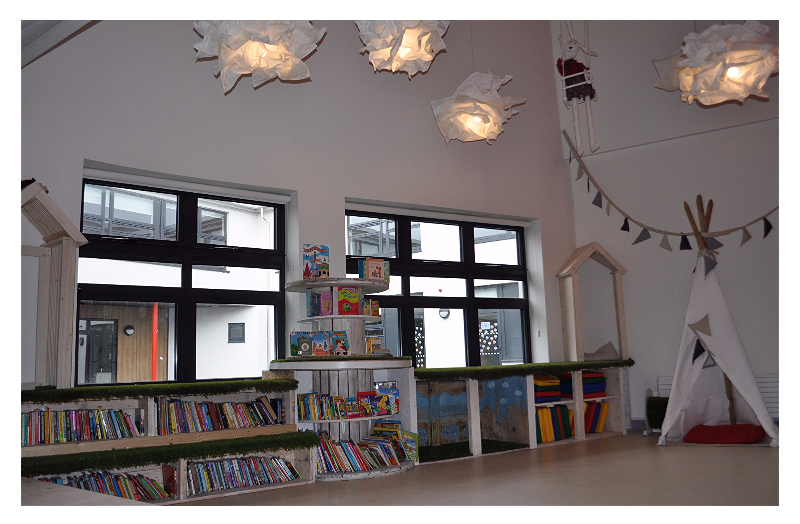 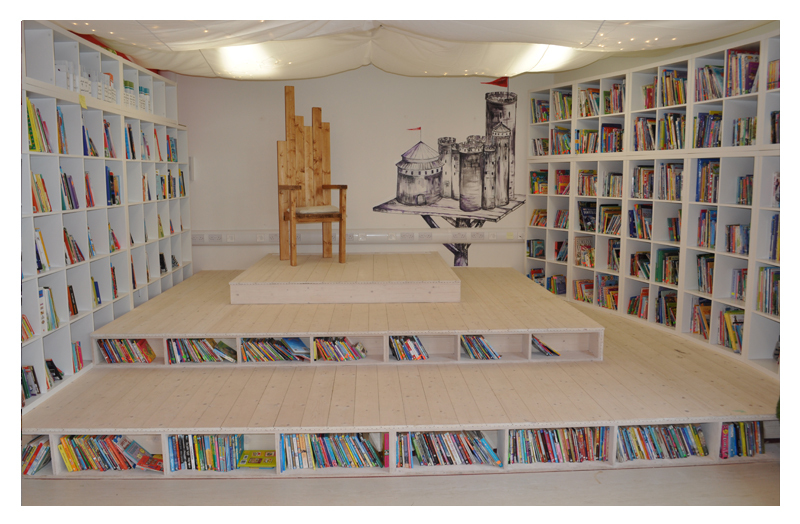 Kildare Town Educate Together NS library was opened in September 2016, and features shelves, benches and book stands made of the wood from surplus materials generated by local businesses, as well as other re-manufactured materials. 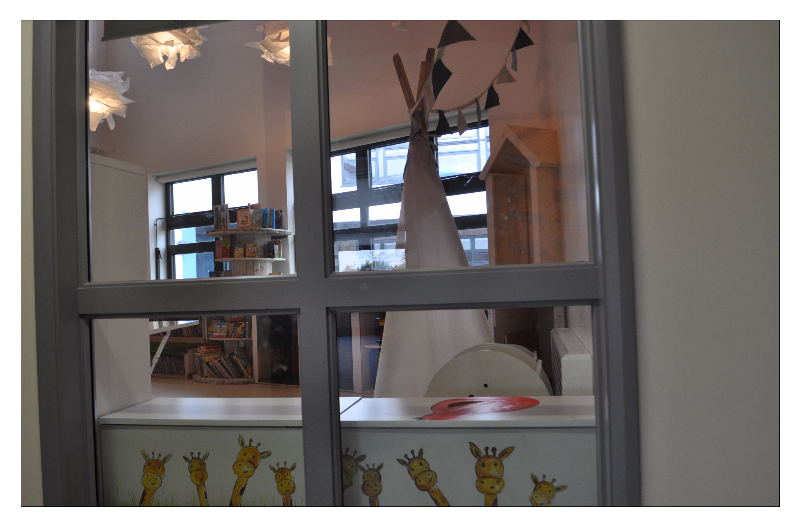 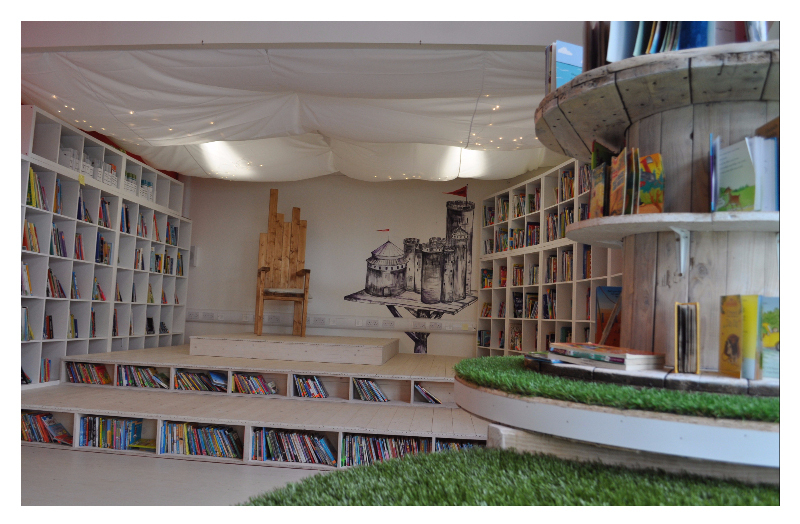 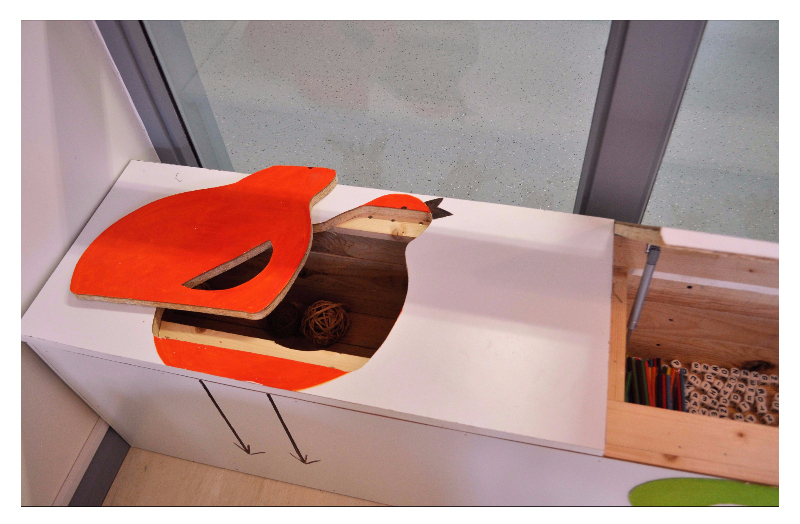 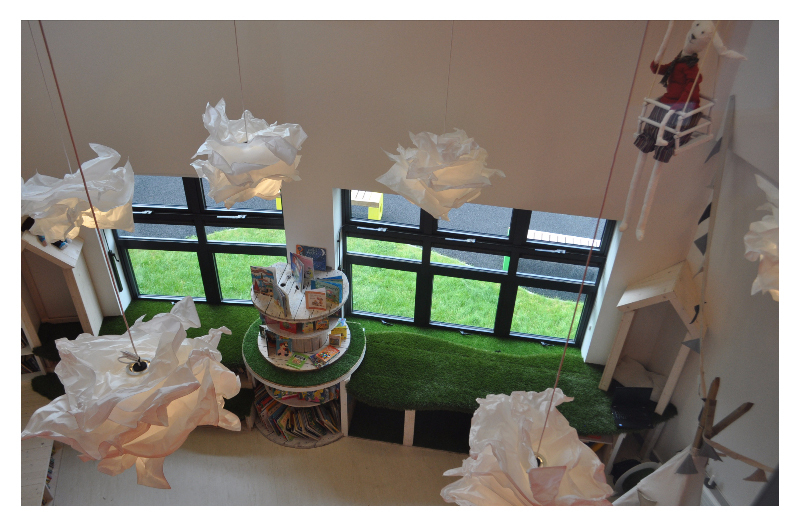 Our goal was to build kids-friendly and creative learning space. 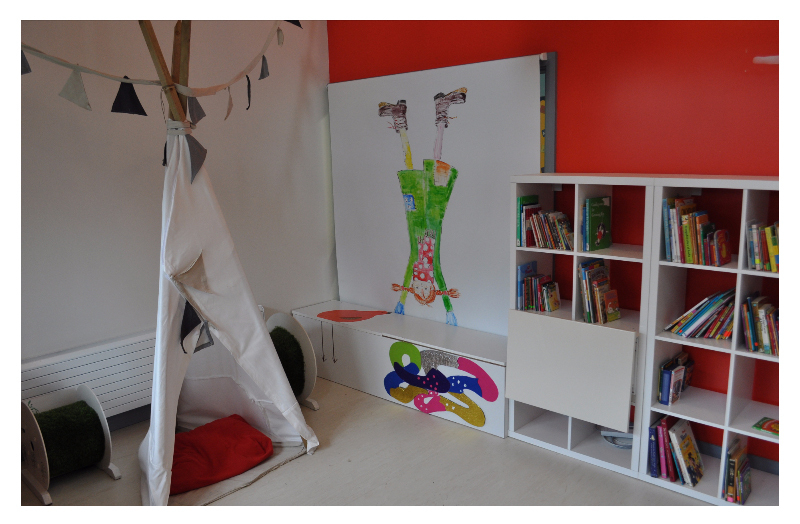 The design included elements such as: king's throne, rabbit on the swing, tepee, guards posts, drawings and paintings, sensory integration elements. 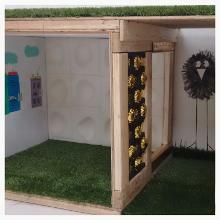 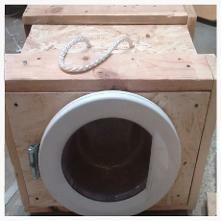 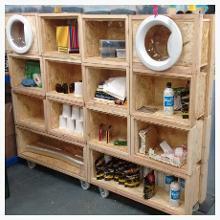 During the project we have used about 20 wooden crates, 10 euro palettes, 30m upholstery, 10m artificial grass, 10 pieces of carpet scraps, 2 cable reels.